Belize is a small country attracting many visitors mainly thanks to its sparkling turquoise tropical waters and a plethora of diving and snorkelling opportunities. It stands out from its neighbouring countries as being the only one to have English as its official language (instead of Spanish). Belize also has a decidedly Afro-Caribbean feel, which is a fun change of setting if you are coming to Belize from Mexico or Guatemala. Laidback Caribbean culture. Hearing reggae music and people speaking in Creole accent and saying ‘yah man’ is a fun diversion from the Hispanic culture in neighbouring countries. 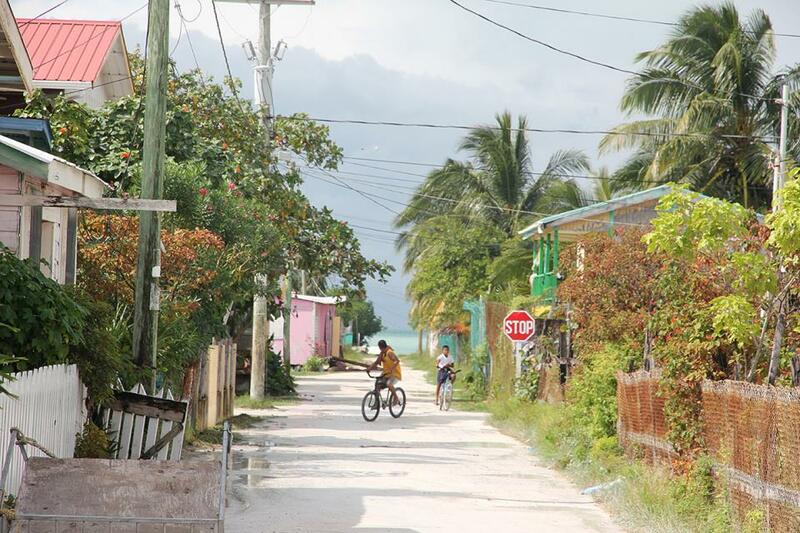 Caye Caulker’s motto is “Go Slow” and the island makes it very easy to embrace this philosophy. Beautiful crystal-clear waters. Belize takes marine conservation very seriously (to the point of me getting spontaneously lectured about it by locals). It is home to world’s second-biggest barrier reef as well as the unusual dive site of the Great Blue Hole, which makes Belize a perfect destination for scuba diving. There are also reefs around Caye Caulker where you can snorkel and see small reef sharks and stingrays, which are normally rare creatures to see just from the surface. 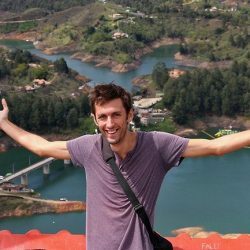 If you are a low-budget backpacker you should know that Belize is a good deal more expensive than other countries in Central America. Whereas you can get by on a backpacker budget of about $30 a day elsewhere, in Belize you should expect to need at least $50 a day. That’s not too bad if you are going on a holiday to Belize and have a set budget in mind, but it might figure into your calculations more strongly if you are travelling the wider region and have to allocate your time between countries. 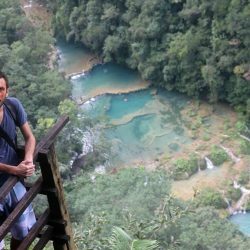 I myself stayed in Belize for a relatively brief time as I knew that I could do many activities (such as caving and visiting national parks or Mayan ruins) much cheaper elsewhere. As a result this page is not quite as in-depth as the ones for some of the other countries I have been. 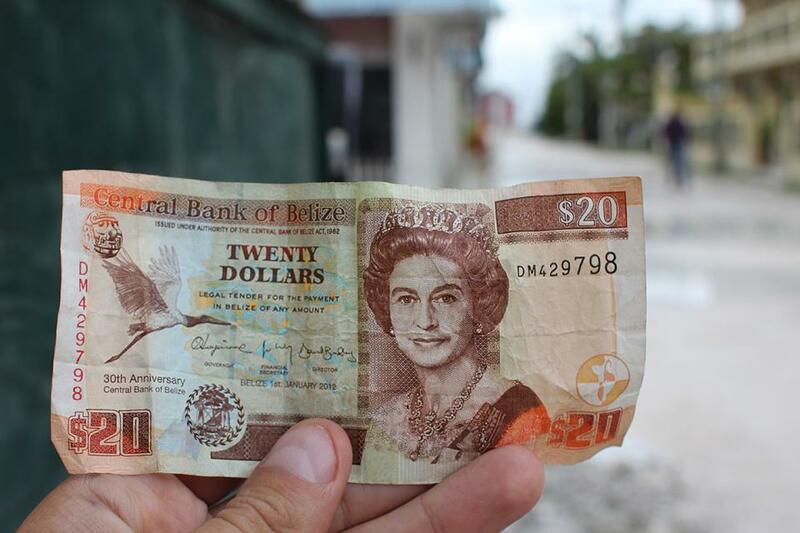 For me it was merely a matter of ‘most bang for your buck’, though even if you are on a budget I still highly recommend visiting Belize as it has a different flavour from anywhere else. 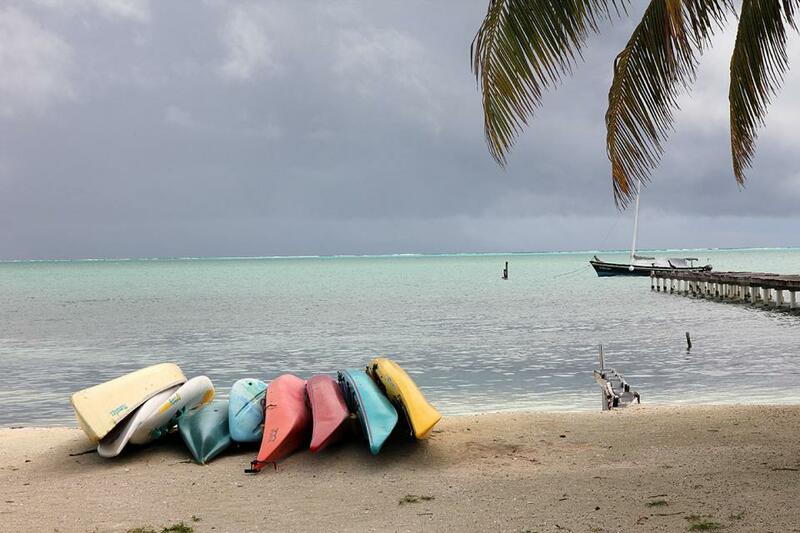 Most backpackers end up spending some time on the Caye islands and specifically on Caye Caulker, which has become Belize’ main backpacker hangout. A hostel dorm bed on Caye Caulker cost me $15 (2014 prices). A private room in a guesthouse will typically set you back about $30, though other backpackers told me they found some in the $15-20 range by asking around. 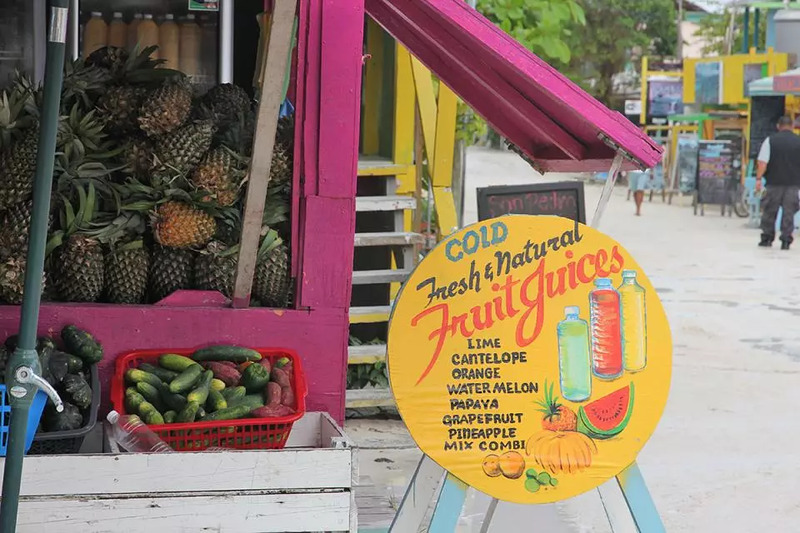 Most meals cost about $15 on the island – the cheapest meals are typically offered by some of the Chinese food places where you can get some chop suey or chicken and chips for $8; put some of the famous Belizean habanero hot sauce on it and you’ve got yourself a decent meal. One reason you might want to spend more on food, however, is that fresh sea food is in ample supply. Belize is a great place to gorge on lobster, for instance. The Cayes make for a convenient waypoint between the beaches of Mexico and the tropical forests and Mayan ruins of northern Guatemala. A great way to get to Caye Caulker from Mexico is to take a water taxi from Chetumal. To get to Guatemala from Caye Caulker you can take a water taxi from the island to Belize City and take a bus onwards to Santa Elena / Flores, tickets for which you can buy on the island. WikiVoyage has all the water taxi timetables. The name sure triggers the imagination. 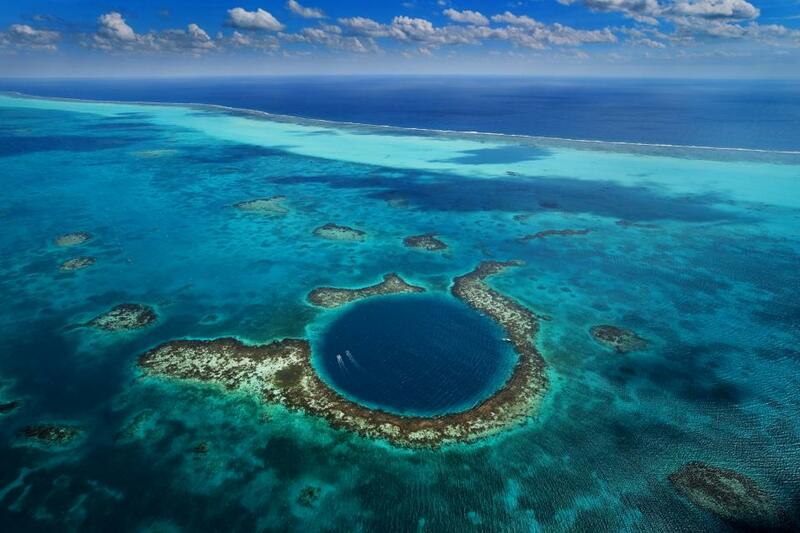 The Great Blue Hole is essentially a big sinkhole in the middle of the ocean, and it looks so cool in aerial photos that it frequently appears in travel magazines and ‘X places to go before you die’ lists. It’s possible to see the Blue Hole from a plane, though this is expensive and probably not worth it—you’ll get the idea from the photo above. You can also see it from the surface, though there’s not much to see as the edge between the regular ocean and the blue hole is barely visible at this angle. You can snorkel around the area and see some sea turtles or reef sharks if you are lucky, but really the best way to experience The Great Blue Hole is to go scuba diving. I went to the Half Moon Caye island as part of a diving package for the Blue Hole, but you can also go there as a day-trip. 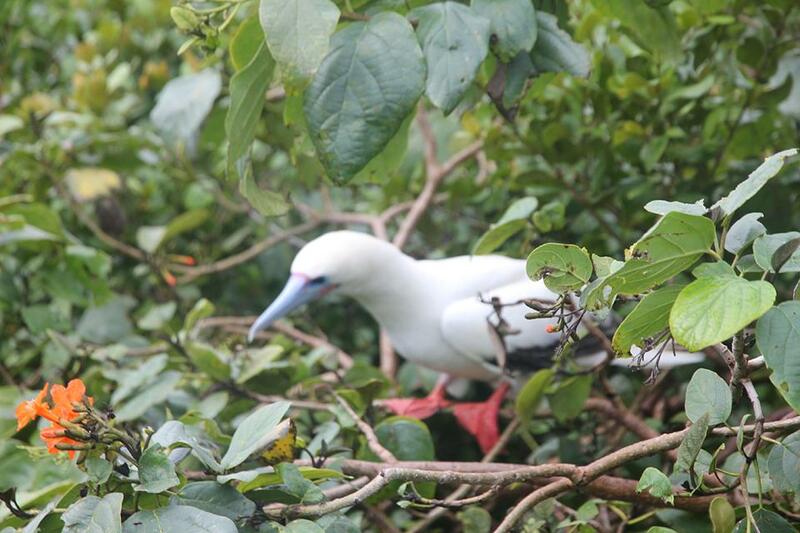 The island is full of little hermit crabs and other creatures, and if you are there during the right time of year you can observe a huge colony of rare red-footed boobies from an observation deck. I’m not exactly a bird watcher but still enjoyed being surrounded by hundreds of these birds in the canopy, some of which were displaying their unusual red feathers. Caye Caulker is a great base from which to go snorkeling. At Shark And Ray Alley you can, as the name suggests, swim with nurse sharks and southern sting rays. There are also several marine reserves in the area with protected reefs where you can see lots of tropical fish. There are also tours from Caye Caulker to a manatee reserve near Belize City. 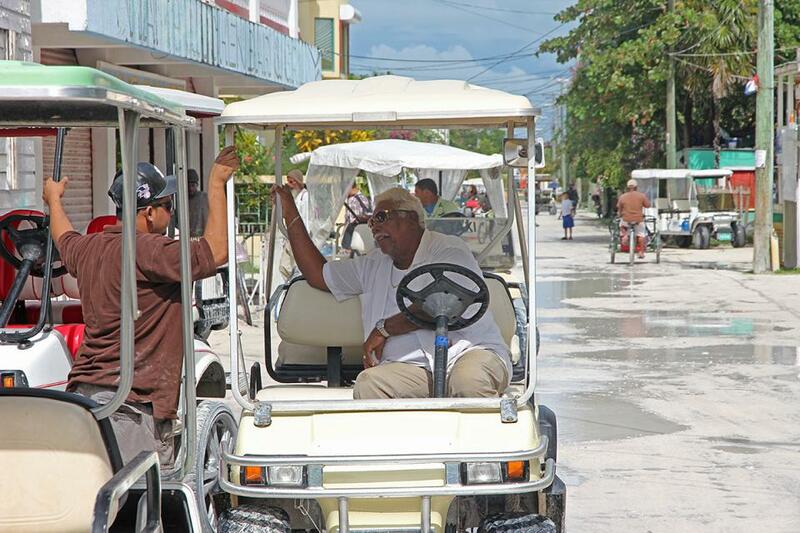 There are no cars on Caye Caulker, just a few of these little golf carts. You can go river tubing through caves on the Belize mainland. Friends told me this is quite fun. Belize has some Mayan ruins you can visit, though based on everything I’ve read these are not as worth seeing as other ruins elsewhere. It is hugely worth crossing the border into Guatemala and visiting the Mayan ruins of Tikal, which are some of the largest and most impressive around. The town of San Ignacio is another backpacker hub, mainly because it’s en-route to Guatemala / Tikal. Go here for cave tours and access to national parks. Dirty McNasty Caye Caulker Gotta love that name. (And it’s not as bad as it suggests…) Free nightly rum punch. Sophies Guest Rooms Caye Caulker Cute hotel with private rooms and ocea views from the balcony. Lower Dover San Ignacio Secluded hostel among the jungle and Mayan ruins. Sandbar Beachfront Hostel San Pedro Attractive hostel right on the beach. I’d love to get to Belize some day! When I was a kid my best friend moved down there for a couple of years and everything I’ve heard about it sounds amazing! 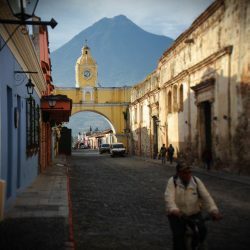 So I’m 15 years old and planning to backpack through Central America this summer. I was wondering would I have trouble checking into hostels at my age? Do they require ID? How strict are they? Hi Ola. I have no clue, sorry! 🙁 I do imagine things are very flexible though. In my experience guests rarely have to show their passport on check-in in Central America (regardless of age). I am going on a trip through Guatemala for a couple weeks and am going to be coming from Flores to spend 7 days between Caye Caulker/Bacalar/Tulum before flying out in Cancun. I was just wondering what you would suggest doing in terms of time for that. Should I just choose one place or split time between the two? If choosing one, which one would be better for beaches, cenotes, and snorkeling? Hey Bryce! It’s difficult to say as it’s a bit personal – for example I like to stay a bit longer in places so I’d probably pick 2 spots for 7 days, but I know plenty of people would try to see all three. Caye Caulker is very nice and very different from Guatemala and Mexico, and also has superb snorkeling. It mostly has very thin beaches with docks for all the boats though and there’s no cenotes. 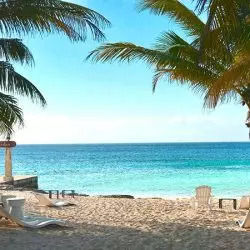 I’ve not been to Bacalar but Tulum has great wide beaches and is ideally positioned for the cenotes (as they’re mostly in the northern part of the peninsula), so I’d definitely put several days in Tulum, and decide the rest based on how you feel. Just stumbled upon your blog post while planning a quick trip to Belize. How long were you in Belize? And are you a scuba diver? Any recommendation on Scuba Dive Operator? Great blog posts, man. I will explore your site a bunch more soon. Hey Halef. I spent a week in Belize, nearly all of it on the Cayes. I scuba dived with Frenchie’s Diving based on Caye Caulker and was very happy with them. Hi Mark, just a little correction, The Great Blue Hole is actually located in the Caribbean Sea. It’s not an ocean. There is a difference between the sea and ocean. In addition, the Blue Hole is just on the edge of the reef. The dark blue is where the reef ends and there is a big drop so many feet down into the sea. Hi, i’m going to be backpacking through Central America, either from Panama up to Mexico, or the other way around. When is the best time to go weather wise? I was thinking of heading there around April/May time! 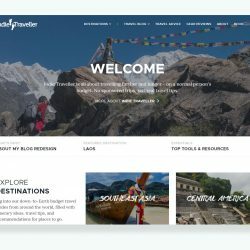 Your website is getting me really excited! Hey Emma. In May the rainy season starts in some parts of Central America but I wouldn’t worry about this too much. Apr/May is actually a great time to visit. It’s not in high season so not as many tourists everywhere. Great article! When you give $ estimates, are you giving it in BZ or USD?